Chris Weston says: “Our journey begins from the staging point of Kodiak Island, from where we take a short flight in a small floatplane to our floating hotel. For the next seven days we’ll explore the Katmai coastline, on foot and amongst bears, from the lush grassy shoreline of the sheltered Geographic Harbour to the open beaches and mountain backdrops of Missak and Hallo bays, and the hidden, secret inlets (some of my favourite spaces) in between. 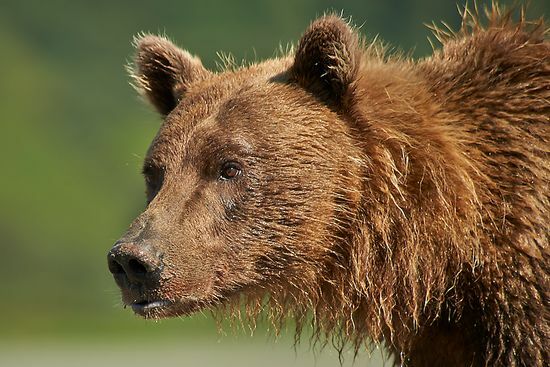 “Bears are solitary by nature but once a year, in Katmai, they gather for a few weeks to feast on the abundant salmon that overflow the rivers, inlets and waterfalls. Each destination we visit provides a different aspect on their behaviour and during the course of the adventure you will see bears of all shapes and sizes: mothers with cubs-of-the-year, frolicking yearlings, mischievous adolescents and huge dominant males. The action is constant. 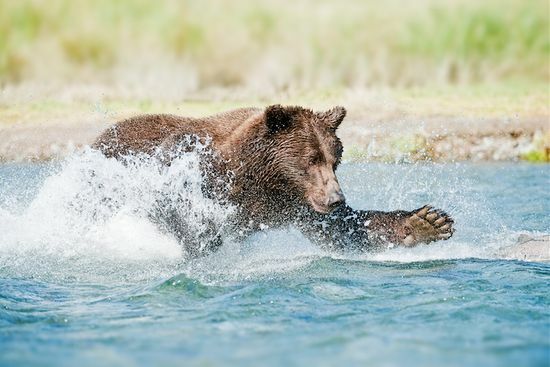 “The photographic opportunities during this time are unparalleled, as the bears adopt various “fishing” techniques to catch the salmon. Scuffles and disputes can break out, often while the bears jostle for the prime positions and the richest pickings. And, as they gather in large numbers, they’ll get closer to you than you imagine possible. 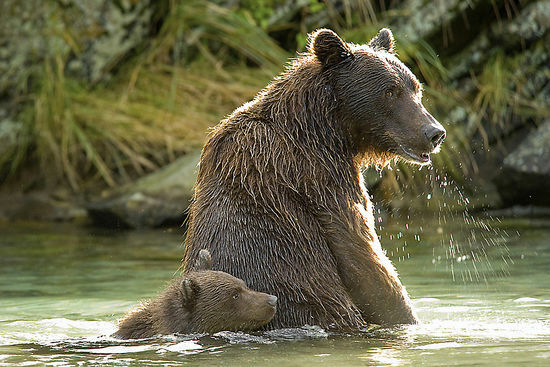 You will be humbled in their presence and feel a connection to bears that is indescribable – moments that can only truly be captured by the heart. Join us and be a part of the action. 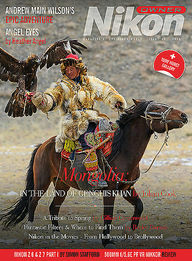 To book, please contact Gillian Greenwood at Nikon Owner: gillian.greenwood@nikonownermagazine.com. What’s included: Twin-share B&B accommodation on Kodiak Island, return air transfer between Kodiak Island and Katmai National Park, full-board boat-based accommodation (twin or triple share), all shore landings and excursions in Katmai National Park, use of wading boots, services of a qualified bear guide, services of a professional photographer, photographic training and hands-on tuition. 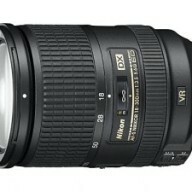 *£300 discount for Nikon Owner Gold subscribers. 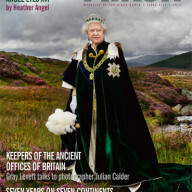 £100 discount for non-Gold Nikon Owner subscribers. What’s excluded: Travel to/from Kodiak Island, meals (excluding breakfast) in Kodiak Island, alcoholic beverages on board the boat, any additional excursions and activities on Kodiak Island, items of a personal nature, Visa fees and ESTA fees (if applicable), personal travel insurance. To register, please email your full name, postal address and postcode, as well as your daytime mobile and landline to Gillian Greenwood as above. If you are a current Nikon Owner subscriber, please add your user-name/subscription number to the email. 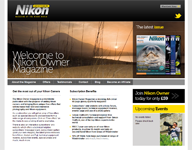 If you are not currently a Nikon Owner subscriber, would you be kind enough to make a note of this in your email – in order to receive the discount, you will be able to join or re-join Nikon Owner when we call you to acknowledge your booking registration or upgrade your subscription to Gold. Please note that it is essential that you book by email rather than by telephone. DISCLAIMER: With regard to any photo-holidays or safaris including this one, both Grays of Westminster and Nikon Owner magazine and their staff are only taking the initiative of arranging and facilitating these events on the strict understanding that they are solely acting in an introductory capacity and anyone planning to come will be deemed to have agreed that they fully understand this as a condition of enrolling and that no liability whatsoever is accepted either by any of the organisers, Grays of Westminster or Nikon Owner magazine in this regard.